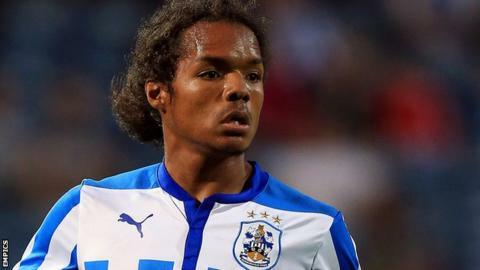 League Two side Bury have signed Huddersfield Town midfielder Duane Holmes on loan until January. The 19-year-old joined the Shakers in time to be available for Saturday's game against Accrington. United States-born Holmes has played just once for the Terriers this season, but featured in 24 games last term. Five of those appearances came in the Championship during a one-month loan spell with Yeovil, who were later relegated from the second tier.